View Large Image First Communion compact gift - available in black or white. 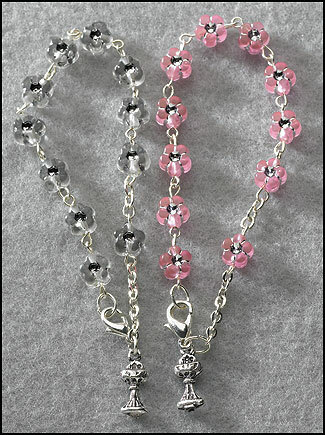 Each case contains a Rosary, scapular and First Communion Remembrance Pin. Retail for $6.95 - Our Special price - Just $4.95 each!